Welcome to Yogyakarta – a busy city in the heart of Java with an unique charm, blessed with an immense cultural heritage. 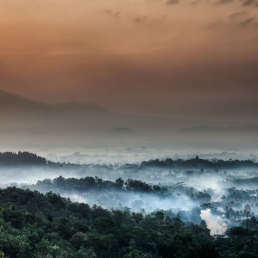 Affectionately known as Jogja, it is a must-visit place on your Indonesia itinerary, not only because of the UNESCO listed Borobudur and Prambanan temples – there are tens of attractions worth a visit in the city and around. We recommend to spend at least 3-5 days in Jogja to fully immerse in "The Soul of Java" and to explore at least some of its hidden gems. 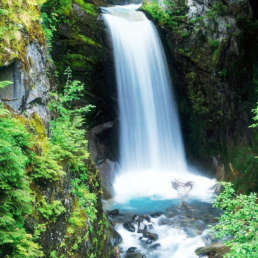 This page will help you create a tour package that is 100% tailored to your needs. Our team in Yogyakarta is ready to assist you during the process - our deep local knowledge will help you to save some money too. Explore the largest Buddhist monument on Earth. Enjoy the stunning sunrise over the Merapi Volcano. 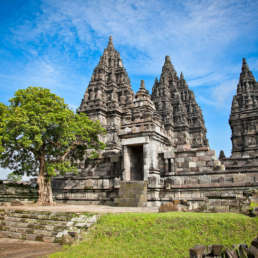 The biggest Hindu site in Indonesia. Mystical view of 244 temples dated on 9th century. Only 3 km from Prambanan. Ratu Boko is a palace built in the 8th century with Hindu-Buddhist references. 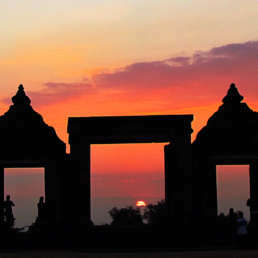 Perched on a hilltop, Ratu Boko offers stunning views of Prambanan and the countryside. The sultan's baths that used to be a royal garden, a rest area, meditation place and even an accommodation for the sultan's concubines. Sultan's palace complex located in the heart of the city. Its plan reflects the Javanese view on the cosmo. 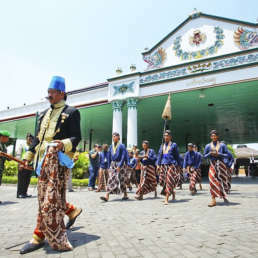 An example of a magnificent traditional architecture of Java. 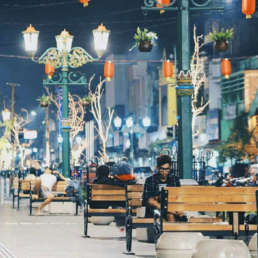 A busy street of artists, local musicians, painters and small food stalls located in the largest tourist center in Yogyakarta. 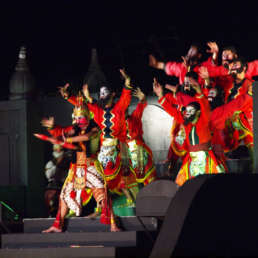 With the background of the Prambanan temple, the Javanese Ramayana Ballet is an amazing and exciting show. Magical night with dance, music and Javanese culture. 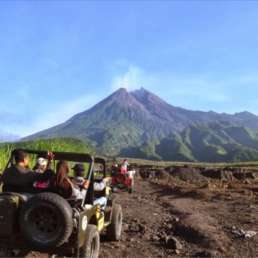 Explore the famous volcano by riding in an open jeep, seeing the remnants of a village destroyed by the 2010 Merapi eruption. 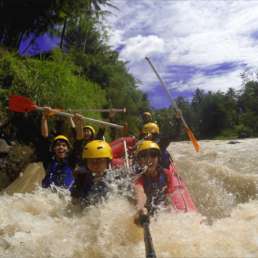 Face the challenges of white water rafting in exotic locations. Safe even for beginners and a lot of fun! 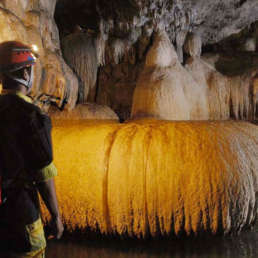 A large vertical cave, a natural wonder featuring "Heavenly Light" phenomenon. 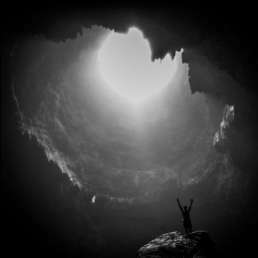 Amazing experience for the first time cavers, and very safe. 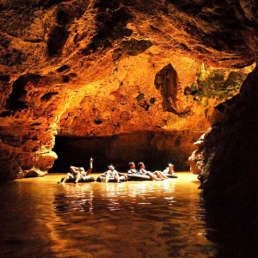 An underground river adventure. 1200 meters long natural cave allows you to follow the underground stream and admire the natural ornaments of stalactites and stalagmites. 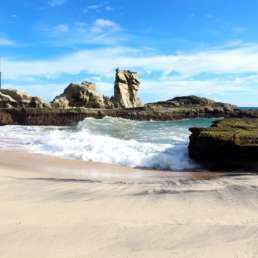 Find the lost Eden in Java by visiting some of its southern beaches. No crowds, just pure natural beauty. 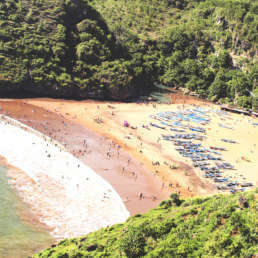 A bay with a big white sand beach located 50km south of Yogyakarta. Lots of food stalls offering a wide choice of fresh seafood. Raise your adrenaline levels and enjoy a gondola ride - pulled manually by the locals. Visit the tiny Timang island - a great place for some impressive Instagram pics. 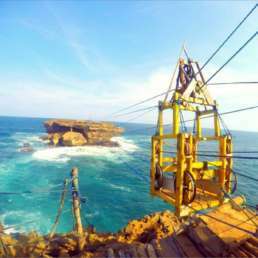 A hidden paradise with a majestic Javanese scenery. 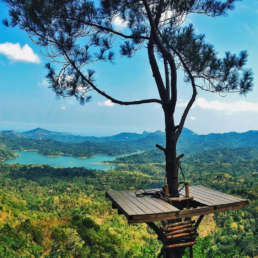 Lush nature, trekking paths, flying fox and tree tops with a great view. Kalibiru is famous for it's scenic photo spots. The natural beauty hidden in the forest about 30 km from Jogja. On the road there are panoramic views of rice fields, sugar cane fields, rivers and beautiful forests. And you can swim there! 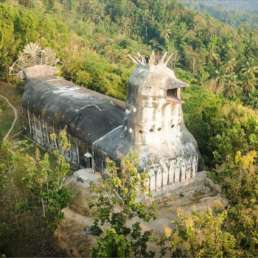 Built by a man with a vision, this unfinished church is a very local attraction. Climb to the chicken's crown, to get fantastic panoramic views! 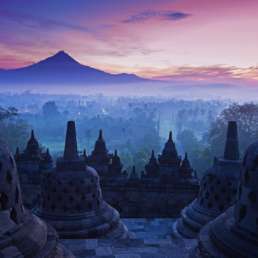 A hill which offers the best spot to enjoy the spectacular view of Borobudur sunrise from a distance. A truly mystical experience. 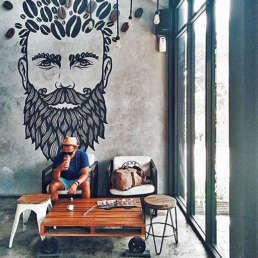 The hipster street of Jogja you don't want to miss! Trendy coffee bars, fancy cuisine, vegan food, beers and live music. The best place to rest after a full day of activities. No need to use standard tour packages anymore - with Indoneo you can choose the places you really want to visit. We have prepared more than 130 tourist attractions in Jogja and its surroundings (including the latest tourist destinations of 2019), where you can make your own trips using our Custom Tour form. Upon receiving your online request, we will start designing a tour plan that will your needs. We will contact you when it's ready, usually in less than 24 hours. We put 130 tourist attractions in Yogyakarta on an interactive map. It will help you to learn more about places - locations, photos, descriptions and reviews. 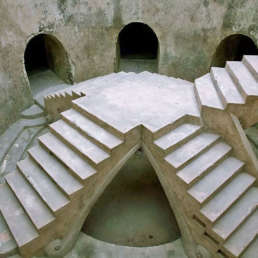 If you are a first time visitor to Jogja, make sure you add some attractions from our Top 20 list. Those are really a-must-see and include a variety of attractions: heritage, culture, nature, adventure, etc. Tell us more about your group, your preferences and budget. This will help us prepare the ideal tour for you. We can even provide some recommendations that will surprise you! The plan you are sending to us doesn't have to be perfect. It's just a concept and our team will work with you to make it perfect. Send your request now, and we will reply with an offer within 24 hours. Call us or chat with us on WhatsApp if you have questions. You will travel in a comfortable and air-conditioned vehicle with a qualified and experienced driver. Our offers range from cars and vans to medium and large tourist buses. At every place we work with selected and reliable suppliers, so there are no unpleasant surprises. You choose a budget, we give you the best hotels, guesthouses or resorts that your money can buy. We love what we do. You can expect the highest level of service and full dedication. Let us give you one of the best travel experiences in your life - you are always our priority. We are here for you on the phone, WhatsApp and e-mail. We answer all requests from the online contact form in 24 hours.